Being an avid Windows user since the day I’ve learnt how to use a computer, I’ve recently decided to step out and broaden my mind and experience the various other different operating systems. I’ve installed Ubuntu on my old laptop a year ago and just a few days back tried to build a Hackintosh. I must admit that I’m always in awe of the user interface and innovation put into the Mac OS. Having a bit more time on my hand, I’ve set up a system that will allow me to start my apple adventure. First off, a Hackintosh is basically a computer that isn’t sold by Apple but running the Mac OS. What I basically did was to get another hard drive (not wanting to lose all my Windows stuff) and installed OS X Lion on it. It is pure coincidence that my 2-year-old computer had components that were well supported by OS X. For those planning to build your own Hackintosh, do read up a little more on the different parts to buy to avoid any incompatibilities. Anyways, I’ve got everything up and running and most things seem to be functional (I have yet to encounter any problems so far). Firstly, I have to say that the user interface is just pure beautiful. I’m not sure if its because I’ve used Windows for too long a time that I got bored with it and thus something new and refreshing appeals to me that much but it is really that awesome. I’m purely talking about aesthetics here. Functionality wise it seems pretty much the same as with Windows. Well, I don’t find much difference in navigating through the different folders, accessing applications etc. However, the aesthetics is pure gorgeous. OS X Lion has introduced several new features (that I cannot compare with previous OS X versions since I’ve never used them) such as Mission Control, the Launchpad, Full Screen Control and many more. While most of these added features are refreshing and new, the functionality of each are not fully clear to me. Please note that I’m expressing my personal opinion on such a topic, different people use their computers differently. Let me give you an example: The Launchpad sure is a fancy way of launching programs and stuff but honestly I haven’t found myself using it at all. If I want an application launched, I simply navigate to the application folder and open whatever I want. Maybe that’s because I have yet to clutter my Application folder with much programs but as of now, it isn’t exactly that much of use to me but that may change in the future. That is without to say that I do love some other features that are present in OS X Lion. There is this feature that I absolutely love and that is the Mission Control. 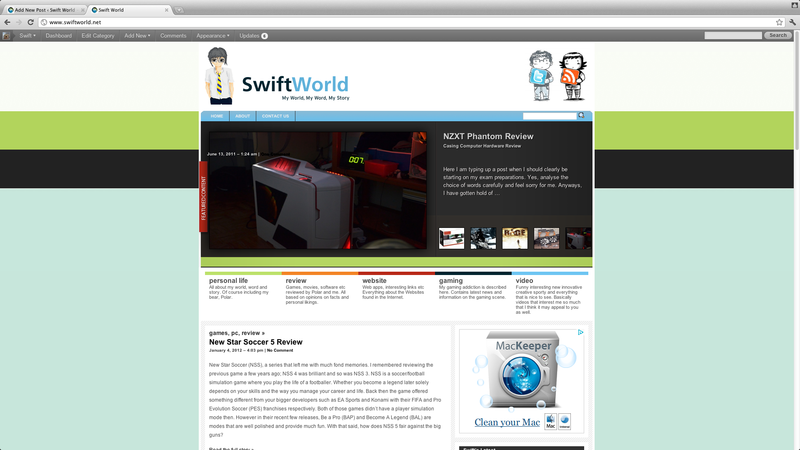 The ability to setup different “desktops”, to view the different windows and full-screen apps works brilliantly. It really helps in organizing my workspaces and ensures that everything is kept neat and tidy. I have also found the Full-Screen control function to be particularly useful. Combine that with switching between desktops it works fantastically well. It simply gives a better working experience. 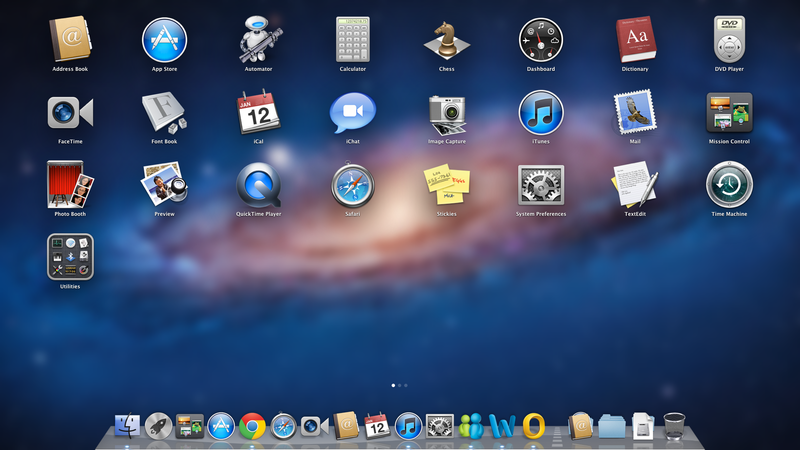 I am also fascinated at how applications and programs are installed in a Mac OS. It is so simple and direct that when I first started installing my first few programs it was a rather frightening experience. Simply mount, drag and drop and that’s it. My god that is just so amazing. I do find that fully uninstalling the application can become quite a chore should the developer not provide an uninstall application. Because everything is so fast and furious during installation, you will have to find the individual folders for the application should you want to fully uninstall that particular program. The one thing that I might have to try out is the use of the gestures. For that to happen I will have to get the magic trackpad or the apple mouse. But as of now keyboard and mouse shortcuts seems to work perfectly fine with me, especially since I’m a Windows user and such macros are part and parcel of most Windows users anyways. Other things that I will have to use more frequently to compare (if any) with the Windows counterparts are the video and photo editing softwares. As of now I’m typing on OS X Lion and for some intangible reason it just feels much better. It might be due to the placebo effect and my mind playing tricks on me but whatever. The only downside to the Mac OS is the lack of games. Gaming and Mac don’t go particularly well. Not to say that there aren’t any games on the Mac but it just doesn’t feel right. Oh and yes you have to admit that many games don’t come out for the Mac. 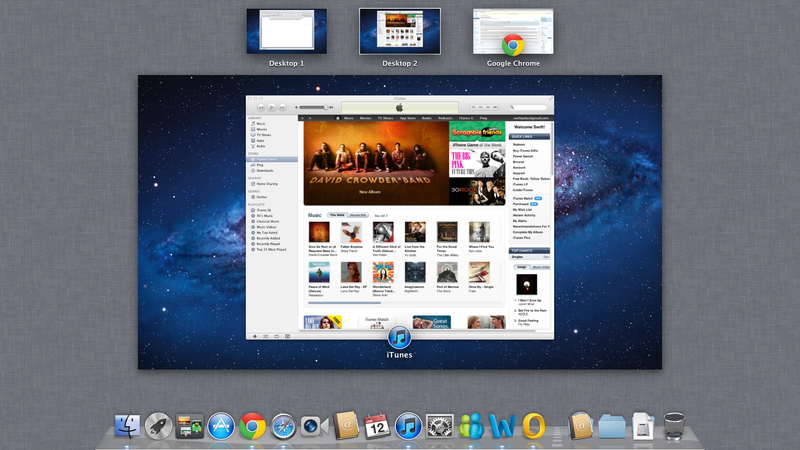 Overall, I think it has been a great experience so far with the Mac OS. I particularly love it for the interface it provides. The different features built in also help increase organization and productivity. I’m glad that I’ve spent some time working this out. As of now my conclusion is that I have the best of both worlds, Windows for my gaming needs and the Mac for everything else.